Helping foodies eat food: bitemojo. When I travel, I love to eat food that is culturally authentic rather than sticking to what I am familiar with. But sometimes finding these hidden gems when you are not a local is hard. 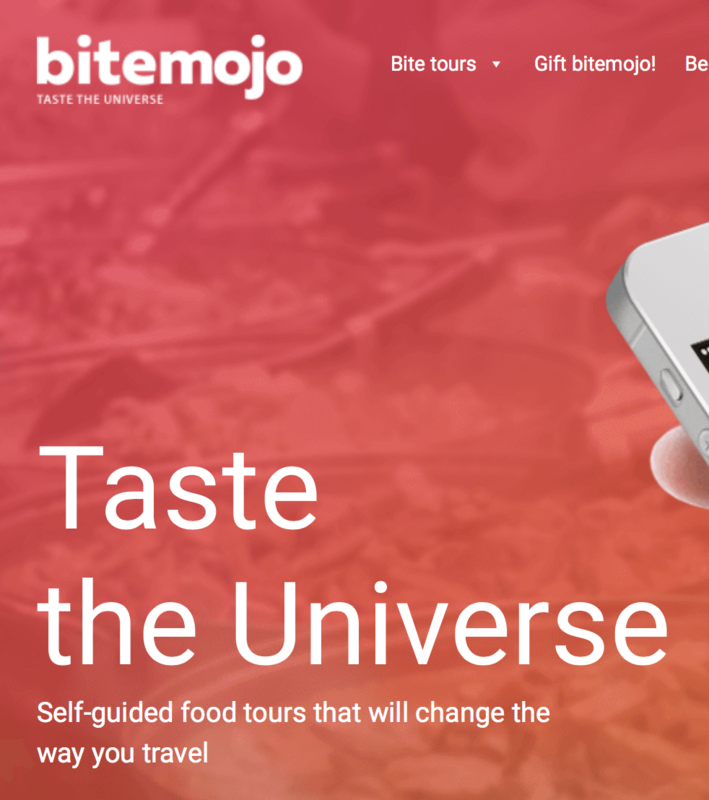 Well, bitemojo is an app that offers self-guided culinary bite tours in fascinating destinations. The philosophy of Bitemojo is that eating food is how we get to know new places and understand different cultures. Through eating, tasting, and trying things we can’t find back home, we meet locals and hear their take on our shared universe. With BM tourism is taking on a new approach to how people travel to and experience destinations. With the App, you pay for it and download it onto your phone. When you open it up a map pops up with locations to go to- they are all cafes, restaurants, bistros, etc. who’ve agreed to be a part of this food journey. The map takes you on this journey at your own pace. While travelling, the places you pass and interact with, the map with share a little bit of information and history with you. Everything has a story. When you get to your food location, you enable the food and show that you have paid for the app get your food and your on to the next one.The bitemojo app is now in Berlin and available for iOS & Android. The bitemojo app is available in Berlin and Jerusalem and soon in Barcelona.